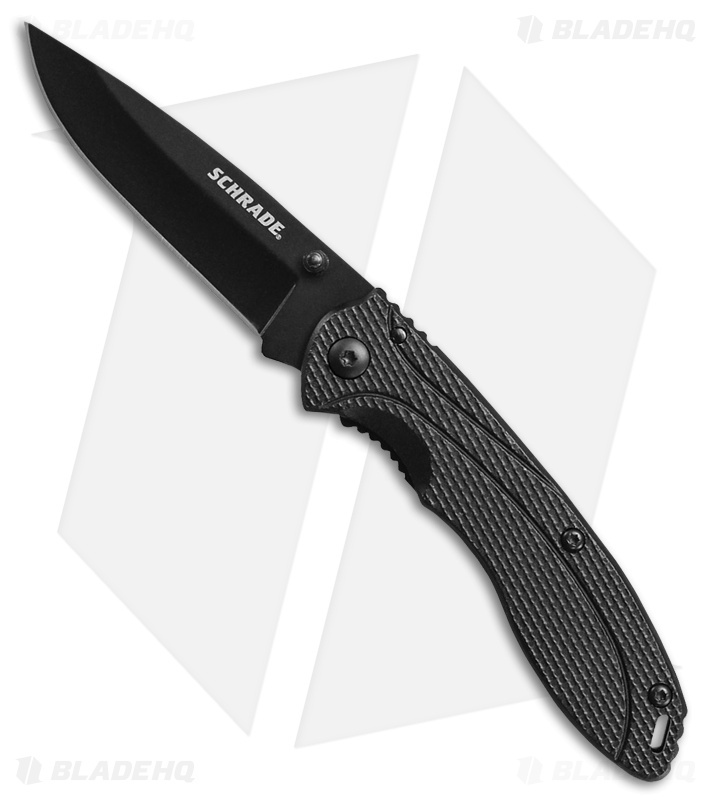 The Schrade SCH106ALBK is an affordable liner lock knife. 8Cr13MoV stainless steel blade has a black finish and thumb stud opener. Textured black aluminum handles with a liner lock mechanism. Convenient lanyard hole and pocket clip for easy carry.